Exclusive to Australia, Mazda will launch a bold new look for the BT-50, going on sale from May 2018. In its second and most comprehensive update since its launch in 2011, the BT-50 will see significant front end design changes, doing away with curving lines to strengthen the ute’s impressive road stance. Lowering the car’s visual centre of gravity, the outer edges of the bumper have been squared off, bolder contrasting fog light surrounds have been added, along with a large trapezoidal lower air intake with a skid plate. Further bolstering its tougher outlook, the grille has adopted strong horizontal lines to straighten out the front of the car, giving the ute a wider and more solid bearing. 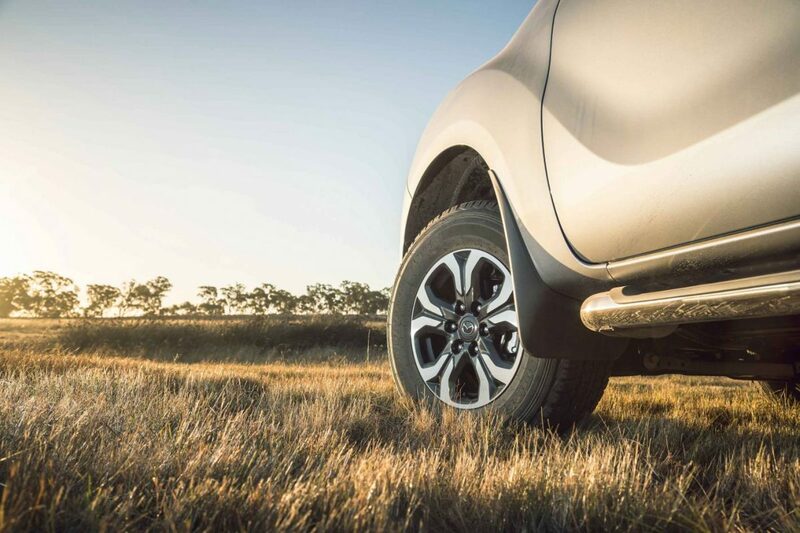 Designed and engineered locally, the new look Mazda BT-50 has been made specifically for Australia and is exclusive to the Australian market. Mazda Australia partnered with EGR group, who have been instrumental in bringing Mazda’s vision to life. Mazda Australia’s Managing Director, Vinesh Bhindi, said the refresh is an important step to take in a highly competitive segment. “This upgrade gives the BT-50 a stronger and tougher bearing, which we know Australians look for in a ute. The BT-50 will also see a range of features and equipment added across grades. More detail on specific equipment upgrades and pricing will be made available closer to release.